Stage Stores is a department store company in the United States that sells accessories, clothing, footwear, make-up, and bath products. Its corporate headquarters is located in Houston, Texas. The company began operating in 1992, when it was still known as Specialty Retailers, Inc. It acquired Fashion Bar and its 71 branches. The succeeding years would be a series of acquisitions for Stage. These brands are Ulhmans, Peebles, Goody’s, and Gordmans. During the last three years, the company had technology innovations and program developments. In 2015, it launched its first ever mobile app that features a store locator and a price checker. A year after, it launched the Style Circle Awards as payback to its loyal customers. It’s not only customers who receive perks; even employees have their share of benefits from the company. Aside from a reliable and competitive salary, they also get a 410(k) retirement plan, paid sick leave and holidays, product discounts, and life and disability insurance. Because the company wants the best for its employees, the management sees to it that opportunities for growth and development are always available to the staff. Superiors assist new hires and share with them valuable pieces of advice on how the store operates. How old do you have to be to work at Stage Stores? The company accepts applicants who are at least 18 years old, for both entry-level and managerial jobs. Although job seekers may find positions in the corporate offices, much manpower is needed in the stores. An Ecommerce site merchant has the technical expertise and a thorough understanding of the clients’ needs. His proficiency in Oracle ATG BBC is of great help in developing attractive and consumer-friendly landing pages and site campaigns. He gives customers an unforgettable shopping experience building links and identifying any glitches in the online store. An excellent and accurate copy drives sales and increases the credibility of the company. Thus, the task of the Ecommerce copywriter is to prepare compelling and error-free copy for products in the online store. He shall keep the copies SEO friendly, clear, sales-focused, and detailed. He shall also write copy blocks for product and category display pages. The Marketing Manager shall work with merchants and identify the best solutions and content to increase sales. His main task is to strategize and develop marketing plans based on sales history and consumer analytics. The data he gleans will be used in further recommendations and allocation of media exposure. Anyone who has a degree in Business or in any business-related course is eligible for this position. However, experience in sales and retail management is required. This is because the company needs someone who can boost sales and credit applications, maintain impeccable product presentations, coach the staff on excellent customer service, and actively recruit and screen talents. The right person for the job displays strong and capable leadership, and a commitment to serve. To enhance the store’s productivity, items must be properly allocated and delivered to assigned locations. An Allocation Analyst’s job is to analyze stocks and determine how many items need to be packed and delivered. He also decides on key item presentations and helps in resolving inventory issues. A Drop Ship Coordinator’s primary task is to determine opportunities with new vendors. By partnering with the right vendors, he shall be able to monitor and identify which products perform poorly on the market, and which ones should be retained in the online store. He not only guides the new vendors throughout the entire process, but he also conducts monthly reviews with merchants. The Accounting Manager shall be responsible for accounting functions, such as compiling and maintaining financial data, submitting annual budget reports and weekly forecasts, reviewing documents prepared by the accounting staff, researching on reconciling items, and mentoring the staff to enhance their knowledge of business. The key responsibilities of the Facility Coordinator are: soliciting and facilitating repairs for assigned locations, coordinating with landlords on lease obligations, tracking completion rate for service requests, and maintaining administrative processes. He shall also write weekly reports and submit them to the management. The Assistant Buyer is expected to develop strategic action plans based on analysis of seasonal trends, product assortments, ladder plans, and other relevant information. He shall also request samples, prepare marketing plans, and coordinate other Ecommerce functions for buying office. The Web Architect shall design overall solutions for the technologies needed in the Customer Systems. These systems encompass Stores, eCommerce, Technology Support, and the Call Center. He shall also assist in preparing business cases for Customer Systems solutions, and in translating business requirement specifications. Although the company doesn’t have a printable application form, it does have an online form that you can fill out. Complete all data required and make sure these are parallel with the data in your CV. You may also request for application forms in the store locations. If you choose this step, bring your resume and cover letter for an on-the-spot interview. You might receive a phone call days after you have submitted your application. However, some managers screen the documents a little longer, and it might take a week or two for them to give feedback. To ensure that you’ll get the job you are dreaming of, wow the managers with your resume. Highlight relevant skills, previous job experiences, and certifications. Moreover, be confident during the interview. Dress your best and be sure to arm yourself with background knowledge about the company. The manager might just ask you what you know about Stage Stores. The company is known for nurturing its talents and recognizing the employees’ efforts to succeed in the retail industry. An organization committed to excellence and customer service, it strives to build lasting relationships with clients and its other stakeholders. It has also been increasing its reach. In September 2017, the company closed a branch in Virginia to give way to a bigger and better plan distribution. This move streamlined the distribution network of the company. 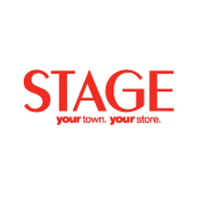 Stage Stores is not new to community service. In fact, Palais Royal teamed up last year with Kids’ Meals and provided over 1500 thanksgiving dinners to families in the community. The company likewise donated $100,000 to the Breast Cancer Research Foundation, a non-profit organization, in its efforts to help end the dreaded disease. Present at the program was Stage Stores CEO Michael Glazer. 1 How old do you have to be to work at Stage Stores?